Not everyone feels like you Melania! We really do care and thankfully we’re not the only ones! Love trumps hate so lets celebrate the lovers not the haters because no-one is illegal, we are all one. 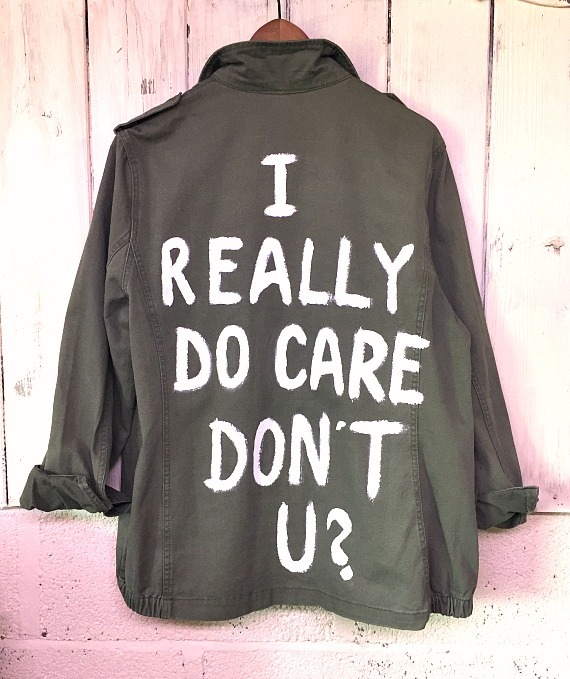 After seeing (and hardly believing) the insensitive and heartless ‘I really don’t care, do u?’ slogan on the back of Melania Trump’s jacket on her visit to migrant children in detention centres I, like so many of us, felt outraged. I simply had to reverse this hateful sentiment and got straight to work on this version. 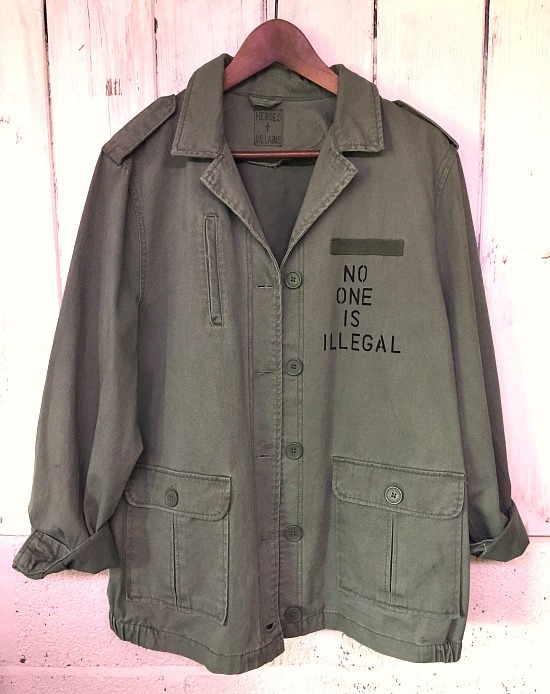 10% of the sale of this jacket will be donated to the @helprefugees charity. This hand painted military jacket is a precursor of the soon to be launched Heroes + Villains Collection. Please note, this jacket is limited edition, once sold out please email us at info@thestellarboutique.com to place your order, I will be making more!